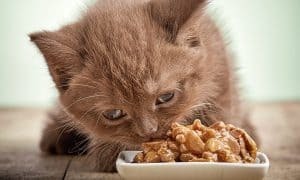 There are thousands of choices when it comes to food for your cats, so how do you choose the most nutritious, safe and tasty food that your cats will love? We have a few tips that will help you out. 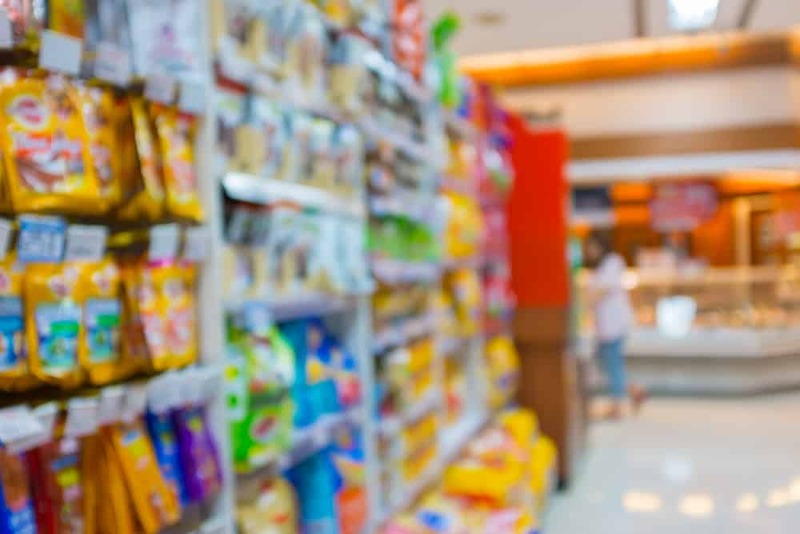 Reading a label is not easy, but there are a few things you should look for – let’s start with the ingredient list because this is complicated. If the label says it’s “Chicken” or “salmon” (or any other protein), it has to contain at least 95% of that ingredient. If the label says it’s a “Chicken Dinner” or “Turkey Platter” or “Lamb Entree,'” it has to contain at least 25% of that ingredient. If the label says it’s “Chicken with Rice” or “Tuna in Lobster Consomme” it has to contain at least 3% of each ingredient. If the label says it’s “Chicken Flavored” or “Lamb Flavored,” it is NOT required to meet any minimum ingredient percentages. The ingredients are entered by weight, so in most cases, the ingredient that there is the most of will be entered first. However, remember that this is generally measured by the “raw” weight. Since meat is primarily water, this could eventually become the last on the ingredient list. But generally you can feel comfortable seeing “chicken” or “fish” as the first ingredient. Breaking out unwanted ingredients into segments so they appear further down the list. They may list an item like corn into separate types of corn (e.g., wheat flour, wheat, ground wheat, wheat middling). Together, they might outweigh the “chicken” or beef, so they break down the components instead. Meat, meal and byproducts are not necessarily bad, but you should watch for them and then pay attention to other parts of the label. Meat is the clean flesh of slaughtered animals (chicken, cattle, lamb, turkey, etc.). The flesh can include striated skeletal muscle, tongue, diaphragm, heart, esophagus, overlying fat and the skin, sinew, nerves and blood vessels normally found with that flesh. Meat by-products: Meat by-products are defined as the clean parts of slaughtered animals, not including meat. This includes the lungs, spleen, kidneys, brain, liver, blood, bone, some fatty tissue, and stomach and intestines freed of their contents. It does not include hair, horns, teeth, or hooves. Meal: Fish meal is the clean ground tissue of undecomposed whole proteins or cuttings, with or without the oil (in the case of fish) extracted. Many say to avoid meal, but it’s also a way of feeding that has been going on. The sourcing of a product is very important. For instance, with the recent Fukushima disaster, there are certain areas in the Pacific that you should avoid, particularly when it comes to selecting shellfish products. 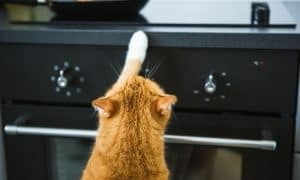 Radiation from the nuclear disaster has flowed through much of our world, so it’s important to know where your cat’s (and your own food) comes from. 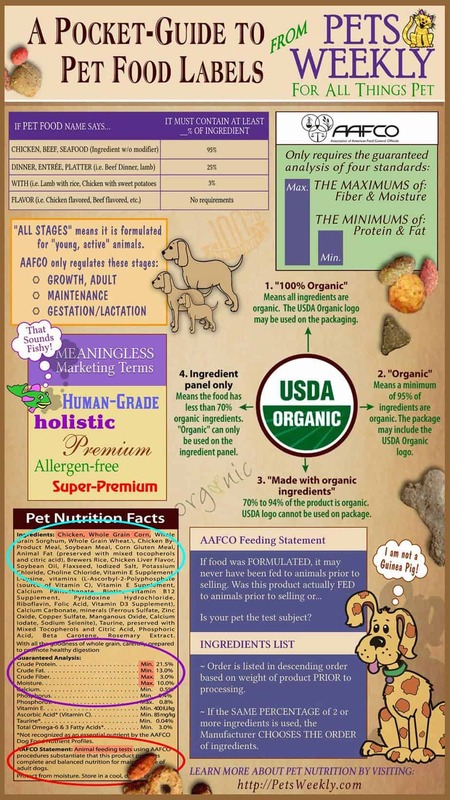 We’ve seen a lot of random terms like”human-grade, holistic, premium, allergen-free” and more thrown around on labels. But, the fact is, none of these ingredients are legally defined and therefore have no meaning. Manufacturers can pretty much come up with a term that is not legally defined (like holistic) and put it on a label without penalty. The key to reading labels and choosing foods is staying educated and doing your research. If you see something strange, ask about it. If you see an unfamiliar term, call the manufacturer and ask them to define it. Look for recommendations from people you can trust and work with manufacturers who have a solid reputation. Your cat’s health depends on it! Stacy Mantle is an award-winning writer, founder of the popular website petsweekly.com and bestselling author of the Shepherd series. She can also be found assisting with TNR rescue missions or volunteering at rescue events. She lives with several cats, a few dogs and a very understanding husband. Visit her at petsweekly.com. I posted this to the Facebook group, where I am a member. 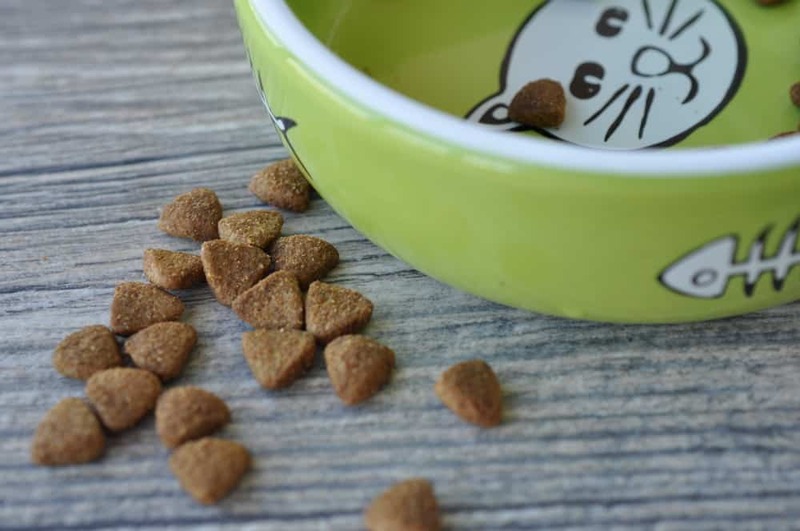 The group encourages raw feeding, but many members feed canned cat food, and this would be useful. Also, any members who are feeding kibble and plan to transition to canned food could use this. 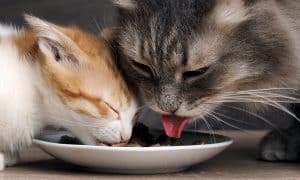 Personally, when I taught myself to read labels on cat food a few years ago, the knowledge of what is in commercial cat foods pushed me to learn to raw feed my cats, as so much of the commercial cat food is not a healthy choice for cats. 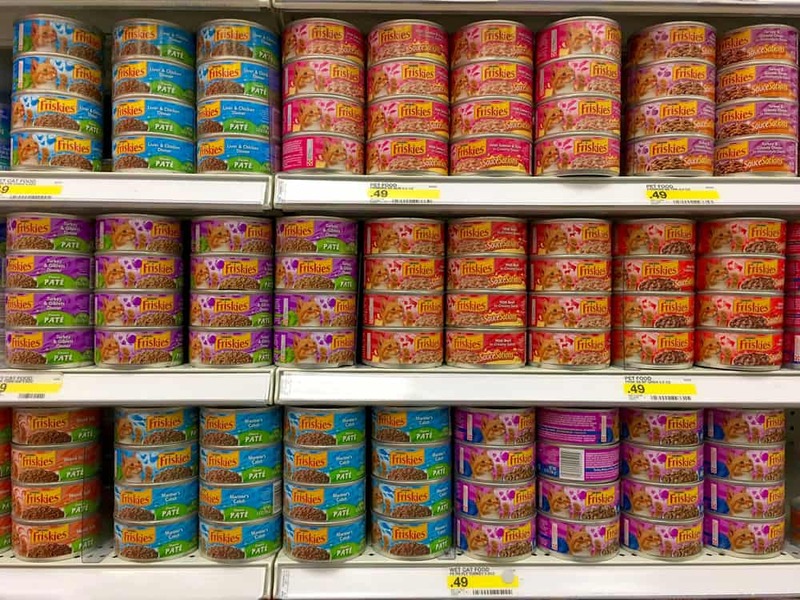 The better brands of cat food were so expensive that raw feeding PMR is cheaper – and the most healthy choice of all.